This wasn’t something that made me writhe in foody pleasure. It’s not something that made me go “Oh, yum. Have to make this next time we have people round”. It’s not posh, fancy or incredibly pretty. It is, however, satisfying and filling. It’s perfect comfort food. It’s like a nice warm hug on a plate. It’ll keep you nice and full and happy all night. 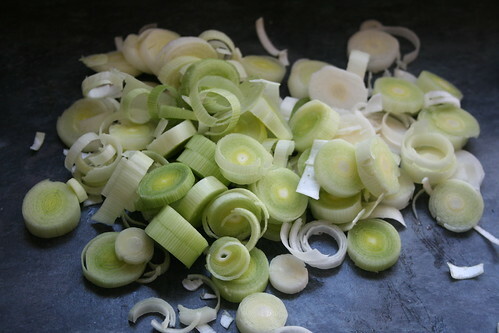 And, apart from a bit of chopping, it’s incredibly fuss free and easy. Brilliant weeknight food. 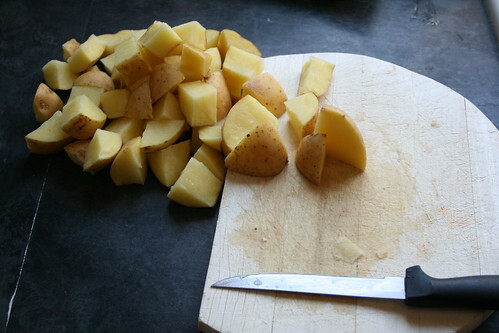 Cut your potatoes into nice, bite sized chunks. 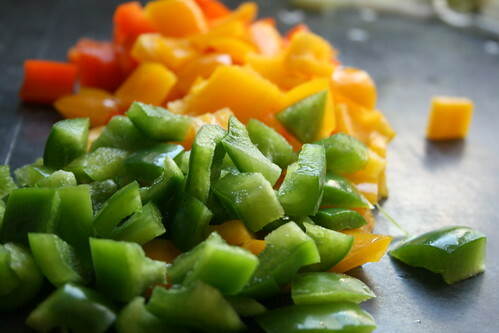 Then do the same for your peppers. 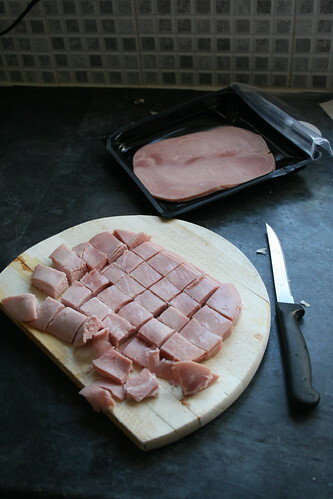 And cut the ham into chunks too. 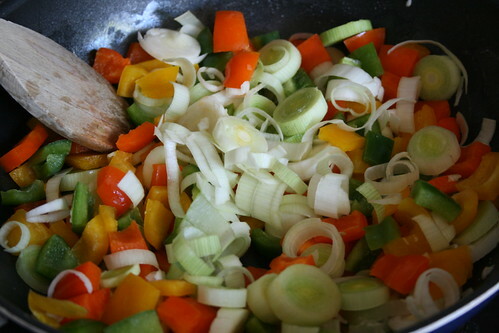 Then spray a large, deep frying pan with Fry Light and fry the peppers and leeks until the peppers are soft. 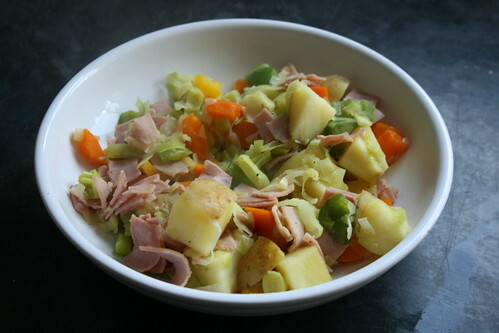 Then add the potatoes, the ham and the stock. 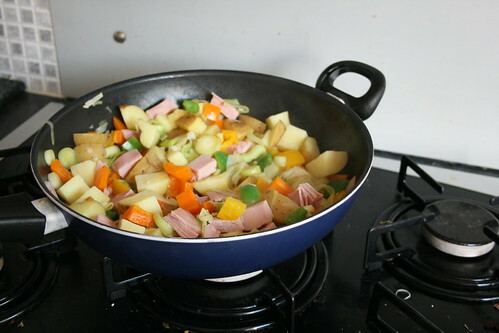 Cover and let simmer for about 30 minutes, or until the potatoes are soft. 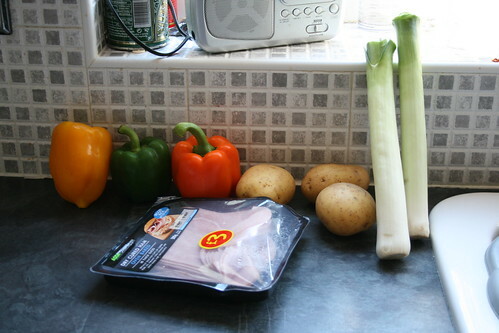 Then just pop it in a bowl, grind over some black pepper and eat. Lovely! Nice and simple, nice and tasty.